Chicago police said a tip that on the night "Empire" actor Jussie Smollett reported being attacked by two masked men he was in an elevator of his apartment building with two brothers later arrested and released from custody in the probe is unfounded. Department spokesman Anthony Guglielmi said at the time the person who lives in the building or was visiting someone there reported seeing the three together the night last month that Smollett says two masked men hurled racial and homophobic slurs at him, beat him and looped a rope around his neck. Guglielmi tweeted Tuesday the tip was inaccurate. 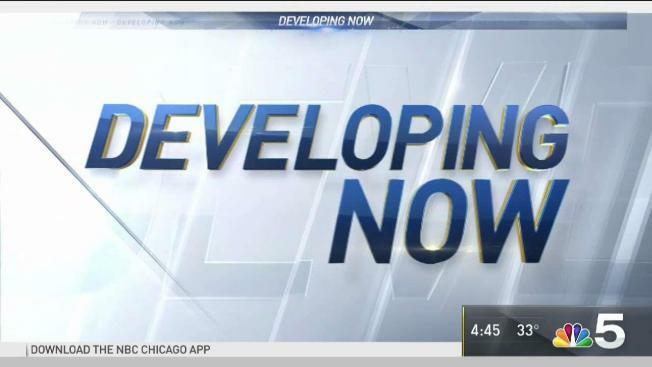 "CPD has confirmed that a tip this morning about a sighting at the residential towers of individuals involved in this alleged incident is unfounded as it was not supported by video evidence obtained by detectives," he said. Last week, police announced that the "investigation had shifted" following interviews with the brothers and their release from custody without charges. A source familiar with the investigation told NBC's Andy Blankstein the investigation has shifted to whether Smollett paid the two men to fake the attack. Police have requested another interview with Smollett. Guglielmi declined to comment on published reports that police believe Smollett staged the assault or that a grand jury may hear evidence in the case. "We're not confirming, denying or commenting on anything until we can talk to him and we can corroborate some information that we've gotten," he said. Last week, police said reports that the attack against Smollett was a hoax were unconfirmed. Cook County State's Attorney Kim Foxx said Tuesday that she is recusing herself from the investigation. "Out of an abundance of caution, the decision to recuse herself was made to address potential questions of impartiality based upon familiarity with potential witnesses in the case," Foxx's spokeswoman Tandra Simonton said. Asked who Foxx is familiar with, Simonton said Foxx would have not further comment. Smollett, who is black and gay, told authorities he was physically attacked last month as he was returning home from an early morning stop at a Subway restaurant in downtown Chicago. He said two masked men shouted racial, anti-gay slurs and "This is MAGA country!" as they looped a rope around his neck and poured an "unknown chemical substance" on him before running away.